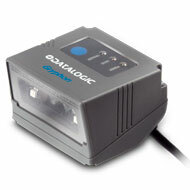 The Gryphon GFS4400 scan module guarantees high performance reading at every scan. Practically any type of bar code, from high resolution linear and stacked to 2D, are read easily by this scan module, even on displays. Thanks to its aimer and Datalogic’s Green Spot technology, bar code scanning becomes intuitive and good read feedback is assured. For more details and availability for the GFS4400 feel free to contact us.